A beautiful poster, inspired by Victorian book design. 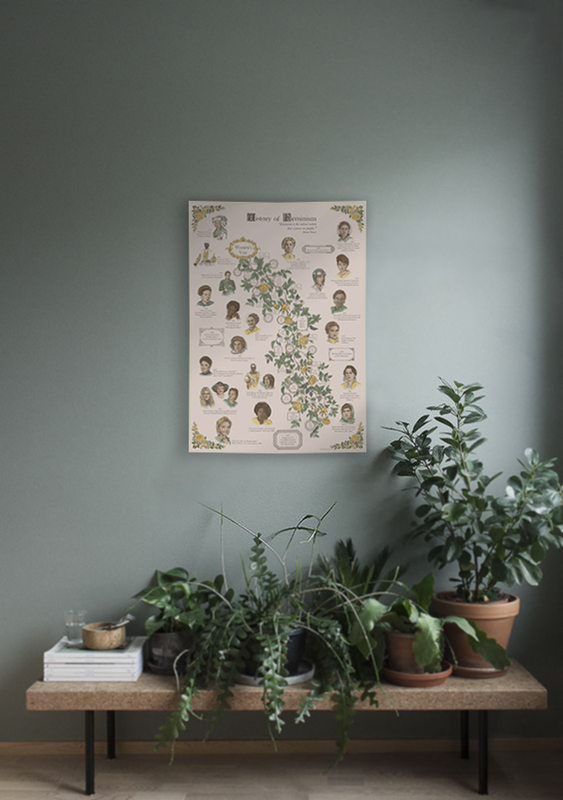 It features a rose tree timeline of the year women gained suffrage per country, important legislative victories in Europe and in the US, as well as milestones of key Feminist figures around the world. As a fervent feminist, I wanted to create a beautiful piece of art that would synthesise key dates and facts and introduce some of the women that have shaped the movement or that embody feminist values. It took a while to determine the information I wanted to include and how to present it (a Jezebel journalist and women’s rights activist kindly proof read it for me) and countless hours of drawing and painting. I obviously didn’t aim for exhaustivity, but tried to include information about all waves and as many nationalities and ethnicities as possible. I hope it will make people want to learn more about Feminism and it’s historic activists and thinkers. Featured on Design Crush, Bored Panda, Boooom.